Today Formspring announced that it received $11.5M in funding from Redpoint Ventures. This announcement comes at a time when Quora, another Q&A site, has been making waves in the social networking world. Formspring also made a few changes on their site. They changed the language from “Ask Anonymously” to “Hide My Name.” They also added a “Respond” button which is available for any Formspring user to place directly on their website. You can use this to increase comments on news articles, videos, photos, and more and then have those responses shared within the Formpsring community. Like Quora, you can push your answers to other social networking sites. Many people know that I am a big fan of Formspring, having been one of the first to use the service in higher education to connect with prospective students. 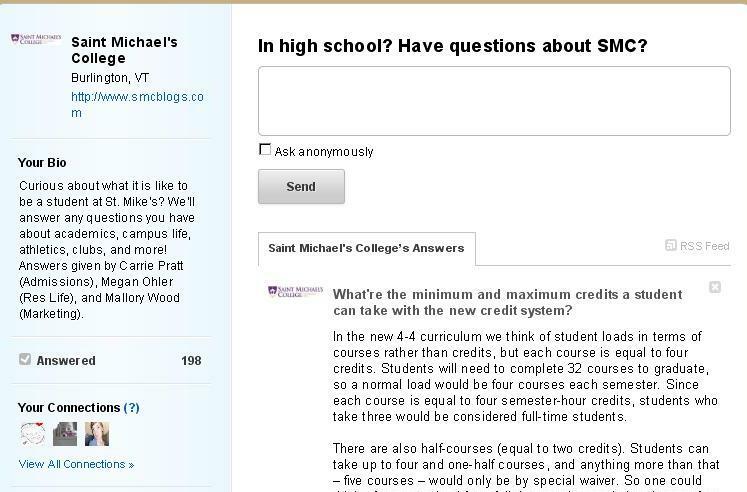 My interview on Higher Ed Live regarding Formspring has over 1000 hits, making it the most viewed episode to date. Yesterday Patrick Powers wrote a great blog post on Quora which highlighted how your institution’s faculty could use the tool. Who is going to win the Q&A site battle? I think the tool that you ultimately decide to use should be based largely on your goals. Quora appears to be a great Q&A site for one to use personally, you can show how you are an expert on different subjects or get expert opinions on questions that you have. I have never used Formspring as a personal account and do not have plans to do so in the future. For me, Formspring is a better tool to use as a business or for a higher ed insitution. Formspring, much like Twitter, allows you to customize the look and feel to your profile. It allows you to provide your customers with a safe place to ask their questions. So what do you think? 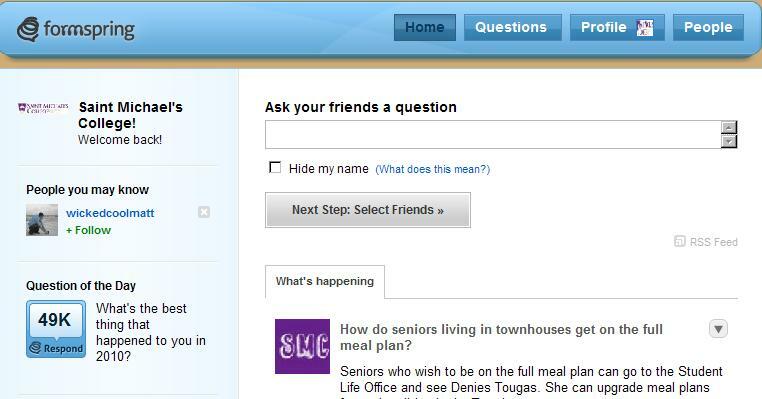 Formspring vs. Quora?